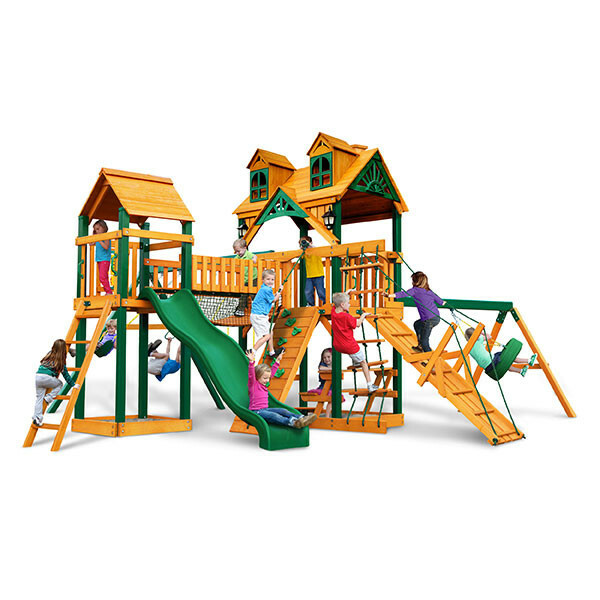 Your kids will spend hours in the backyard with this amazing swing set, the Gorilla Playsets Malibu Pioneer Peak. 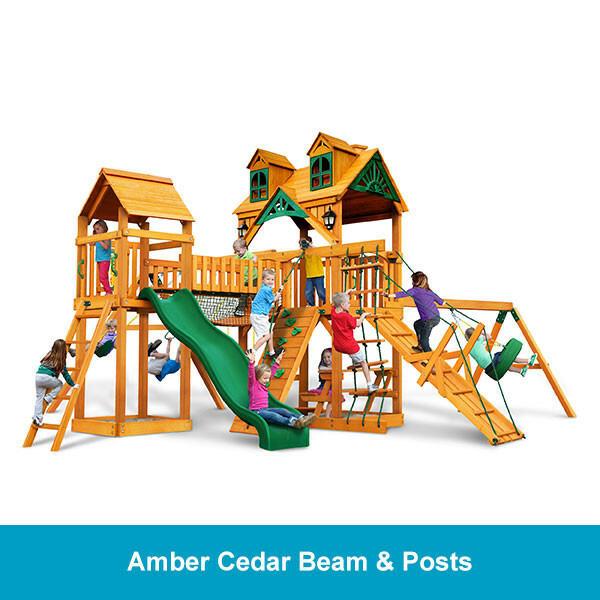 It is built around two play towers that are connected by the cool clatter bridge, which is now extra safe with its mesh sides under the railing. 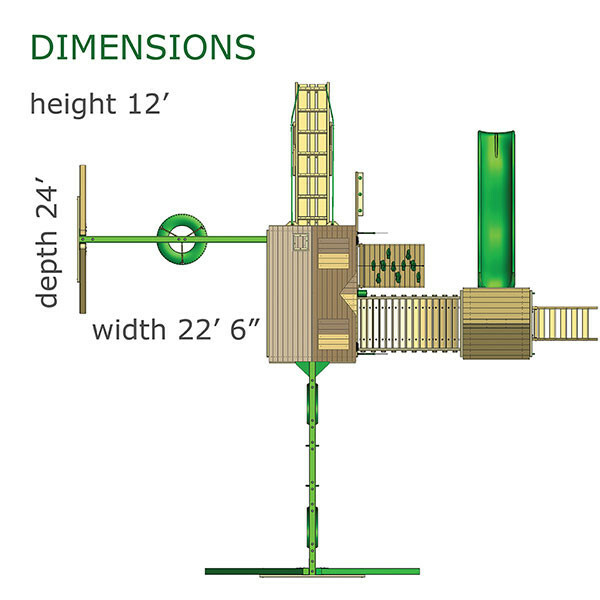 The main tower is loaded with excitement with a rope ladder, climbing ramp, and rock climbing wall. 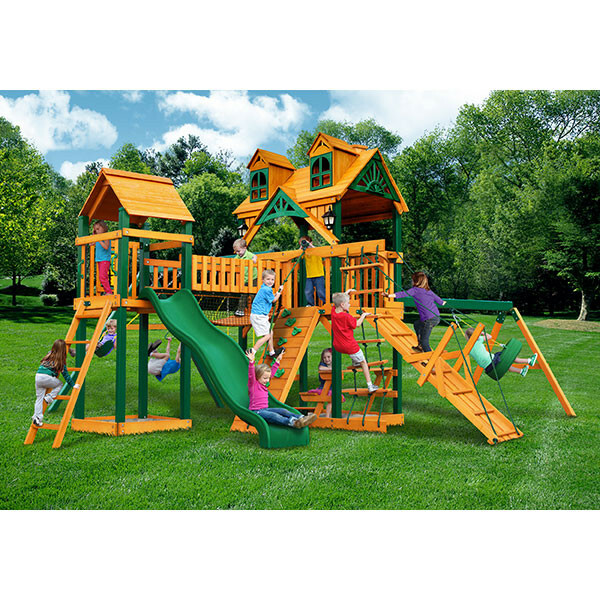 Once kids have climbed up they’ll find a steering wheel and telescope for tons of imaginative play. 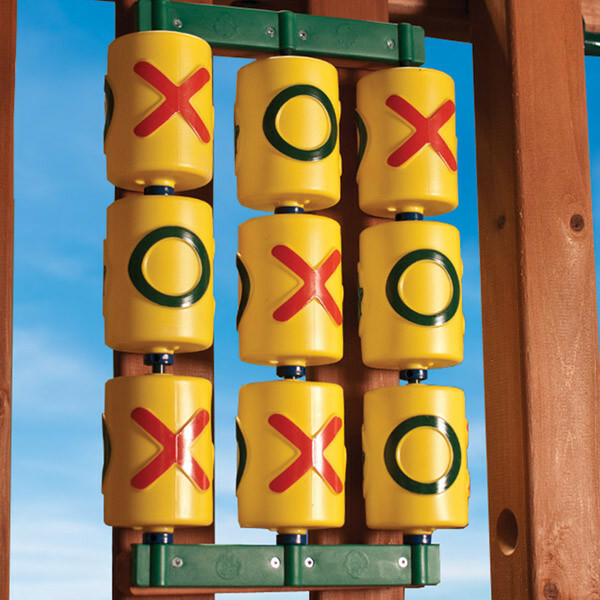 The second tower also includes some great features including a tic-tac-toe panel, standard climbing ladder, and the super-fun wave slide. 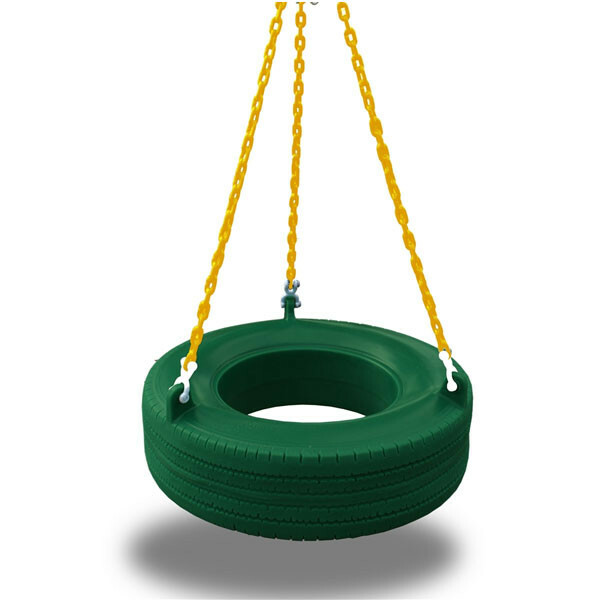 Swinging is a blast on one of the two belt swings, the trapeze swing, or the turbo tire swing that swivels on its own swing beam. The unique Riviera style wood roof makes this swing set not only cool but attractive as well. 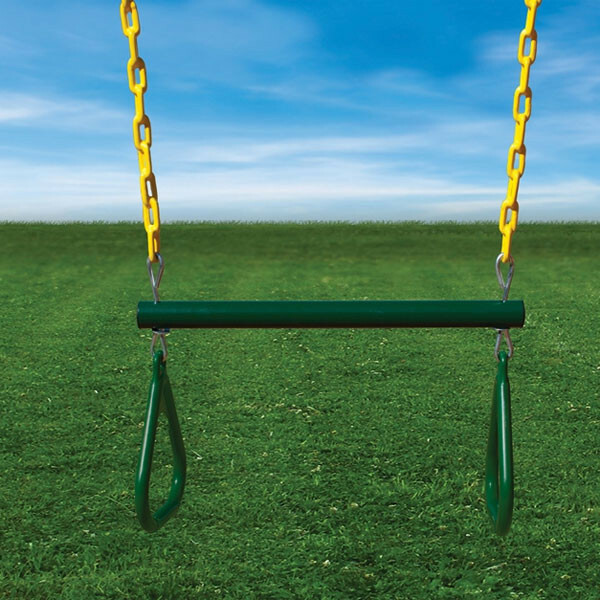 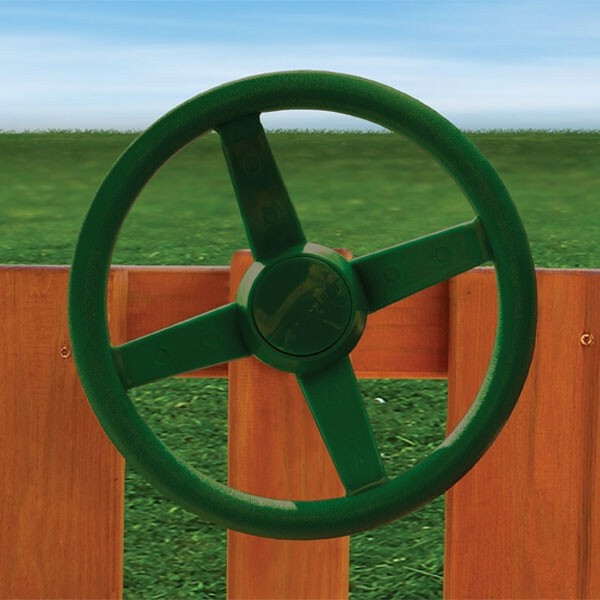 All of the high-quality lumber and hardware that are needed to complete the assembly of this swing set are included. 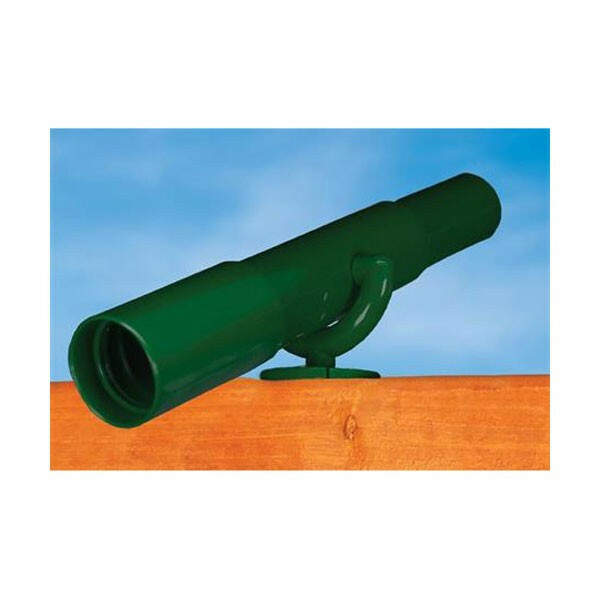 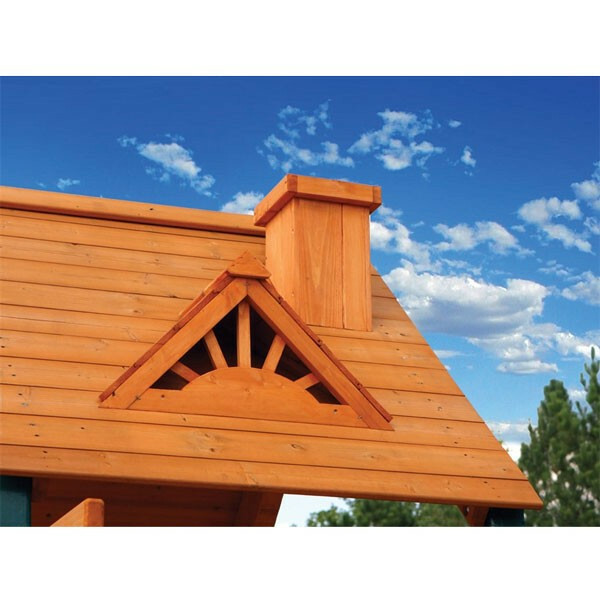 For your convenience all wood parts are pre-cut, pre-stained, and pre-sanded along with the main beams being pre-drilled. 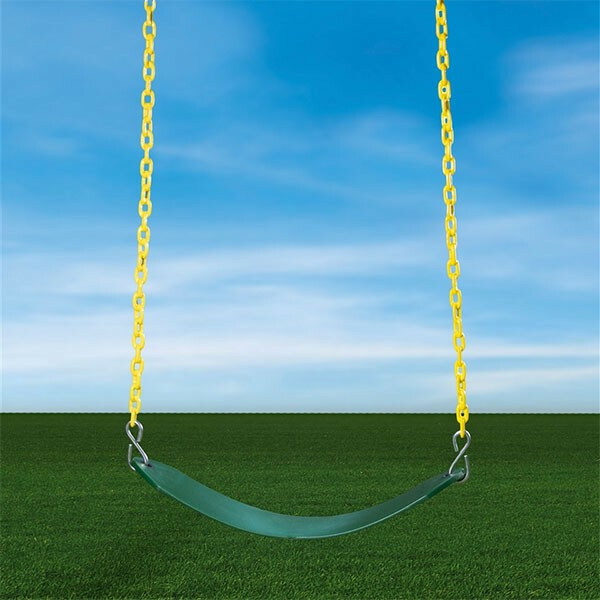 Get your kids active and get this great wooden swing set today.